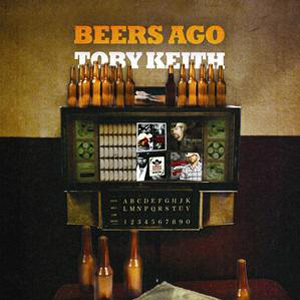 “Beers Ago” is typical country nostalgia, but there’s a vibrancy to it because of Keith’s skill as a vocalist. There’s an urgency there that makes it sound like he could sing his way back there, simply by the sheer will of his voice. And who else could pull of a line about “the man in the moon working his magic on the second runner up of the 4H pageant”? It’s like he didn’t get the memo that this was a filler track, and he ended up with a solid record. Love Bobby Pinson’s songwriting abilities, so I’m going to give this one a fair listen. Good point on Keith’s vocal style. That level of straightforwardness is definitely very refreshing. Not quite sure what I think of the song itself, but I’ll give it a few more listens. Someone wrote a comment on Last.fm on one of Toby’s songs calling him one of the best soul singers of this generation and I’m somewhat inclined to agree! Toby Keith’s is a Mans Man. Doesn’t sing about panzy stuff like the Rascal Flats do… love this song – great stuff ! !